In 1988, three years after they founded Japan's celebrated Studio Ghibli, Isao Takahata and his friend Hayao Miyazaki unveiled one of the oddest double bills in animation history: "My Neighbor Totoro" and "Grave of the Fireflies." Even at this relatively early point in the careers of the two writer-directors, their strengths were clear: Miyazaki was the fantasist who would take viewers beyond their imaginations; Takahata, the poet who explored intimate, human moments with rare sensitivity. Although Takahata, who died in Tokyo on April 5 at age 82, was a director of exceptional versatility whose work ranged from the earthy slapstick of "Pom Poko" to the gentle nostalgia of "Only Yesterday" to the fragile beauty of the Oscar-nominated "The Tale of the Princess Kaguya," he remained best known for the heartbreaking poignancy of "Grave of the Fireflies." The film opens as the ragged, undernourished teen Seita collapses in Kokutetsu Sannomiya Station with the chilling words, "September 21, 1945 … that was the night I died." In flashbacks, Takahata shows how Seita attempted to care for his younger sister, Setsuko, after they were orphaned in the American firebombing of Kobe, Japan, during World War II. The film suggests a flower on the grave of countless children who, like Seika and Setsuko, died needlessly in wars they neither fought nor understood. The name Ghibli comes from a hot North African wind that blows into Italy; Miyazaki and Takahata wanted to blow fresh air into the Japanese animation industry, which they felt was stagnating. That sense of freshness was evident in Takahata's later features, which were less devastating than "Fireflies," but equally human. 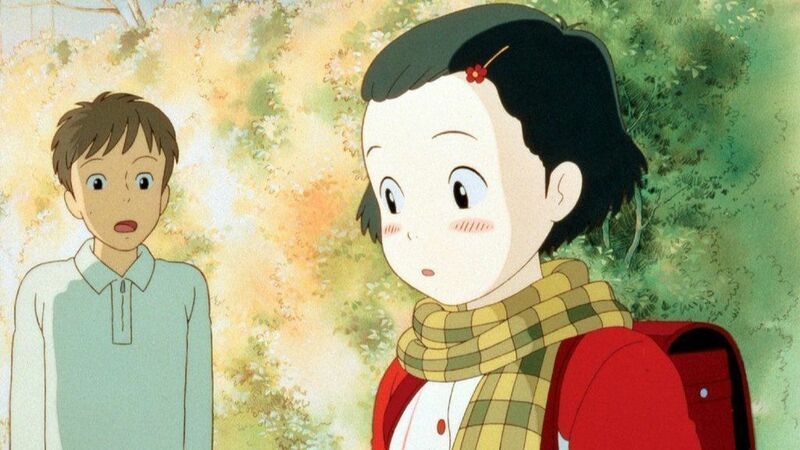 In "Only Yesterday," 27-year-old Taeko remembers her first conversation with a boy she liked and how they were too tongue-tied to utter more than a few awkward words. Takahata underscores the authenticity of the moment by having the watercolor backgrounds fade into the surrounding white paper, suggesting the incompleteness of memory. Even Takashi, the blandly inept patriarch of the domestic comedy "My Neighbors the Yamadas," has moments of reflection. Does Basho's haiku about "A cicada trapped under a samurai's helmet" really describe Takashi? He probably fears it does. While Takahata's films never quite broke through with U.S. audiences the way Miyazaki's work (which includes "Spirited Away" and "Howl's Moving Castle") did, Takahata still exercised an outsize influence on American animators and live action filmmakers. Screenwriter Michael Arndt said, "I was inspired to finally sit down and write 'Little Miss Sunshine' — after years of procrastination — after seeing Takahata's 'My Neighbors the Yamadas' at the [Museum of Modern Art] in New York in 2000." In many of his films, Takahata celebrated the beauty of the fields and forests of Japan, although he knew their existence was threatened. Finding life in Tokyo unsatisfying, Taeko returns to the countryside she visited as a girl; there she falls in love with the earnest farmer Toshio. Together, they will preserve a small corner of a countryside most young people have abandoned to live in cities. The rowdy tanuki (raccoon dogs) in "Pom Poko" strive to protect from human developers the farms and woodlots of their home in the Tama Hills. But these celebrations of nature were restrained by the Japanese concept of "mono no aware," an awareness of the inevitably transitory nature of life and beauty. For his final film, Takahata adapted an ancient folk tale, "The Tale of the Bamboo Cutter," as "The Tale of the Princess Kaguya." The picture was Oscar nominated for animated feature in 2015. In an interview, he said, "I had no interest in displaying a 10th-century literary classic as if it were a picture scroll to be unrolled…. I wanted to tell the 'true story' of Princess Kaguya in a way that would be convincing to modern audience." As the film opens, an old man finds an infant no bigger than his thumb hidden in a stalk of bamboo. He and his wife lovingly care for the tiny child, who quickly grows into a ravishing beauty. They take her to the capital, where she attracts a string of high-born suitors. But she refuses them all after discerning flaws in their characters, just as she rejects the artificial refinement of urban life. In a bid to regain her freedom, Kaguya flees the city for the country village where she grew up. The stately pace of the animation accelerates as the animators use rough brush lines to show her ripping off her finery to touch leaves and flowers. The striking sequence encapsulates Takahata's rejection of the artificial, his love for nature and his abiding faith in human nature. In his director's statement, Takahata said, "I am not aiming to create a 'fantasy' by representing a finely detailed surface reality to enclose people in another world. Rather, I want to have people recollect the realities of this life by sketching ordinary human qualities with simple props. I want to have the wind blow freely between the reality of our daily lives and what we see in the film." In person, Takahata was quiet and soft-spoken, with a slightly melancholy smile. But his eyes were always alert, studying the people around him, observing the "ordinary human qualities" that made his films touch the viewer like a cool, welcome wind. 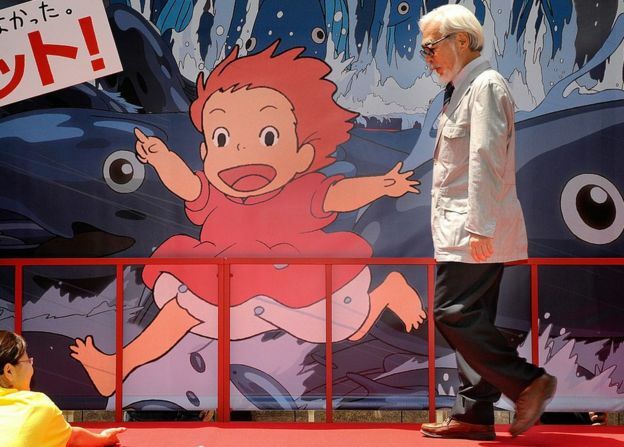 Hayao Miyazaki: Japan's godfather of animation? It would be no exaggeration to describe Hayao Miyazaki as the godfather of animation in Japan - some might even say the world. Since his directorial debut in 1979, his gentle and whimsical children's movies have been hugely popular and become key cultural icons. Spirited Away is still Japan's highest grossing movie of all time while other works like My Neighbour Totoro are considered canon. He and his company Studio Ghibli, which he founded in 1985, have often been called Japan's answer to Walt Disney - but in many ways Miyazaki has proven to be a complete original. 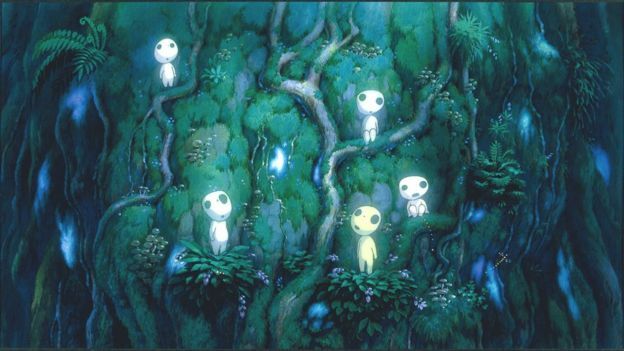 The hallmarks of a Miyazaki film are its lush detailed landscapes and its thoughtfulness in tackling serious themes such as war, man versus nature, and identity. "Firstly they are very beautiful and emotionally very honest," says animation scholar Helen McCarthy. "Audiences everywhere can relate to that." "Secondly, they are many-layered so that children can enjoy them, but people at later stages of life can also find meaning in them. And thirdly, they are highly individual works of art." 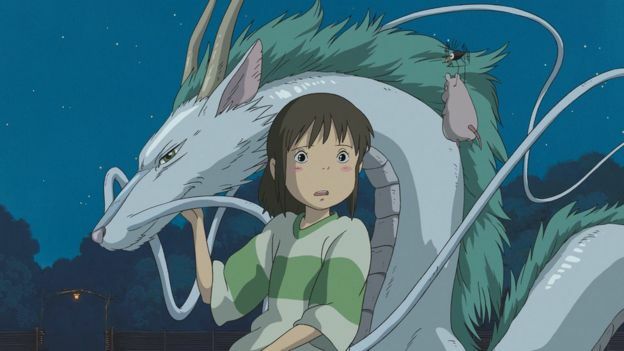 Spirited Away (2001): A girl embarks on a journey of self-discovery as she rescues her parents from an evil spell. Won the Academy Award for Best Animated Feature in 2003. 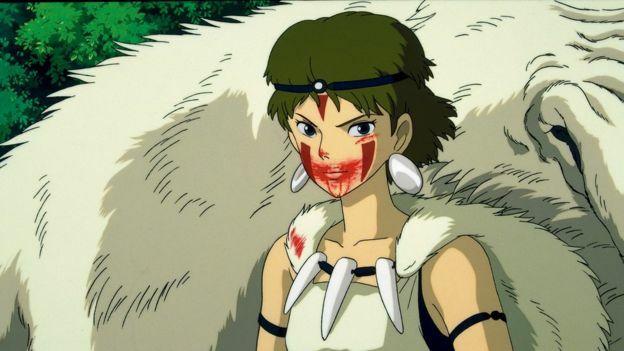 Princess Mononoke (1997): A warrior princess tries to save her beloved forest. One of Miyazaki's darker films featuring traditional Japanese myths. My Neighbour Totoro (1988): Whimsical tale about two sisters who befriend a spirit. 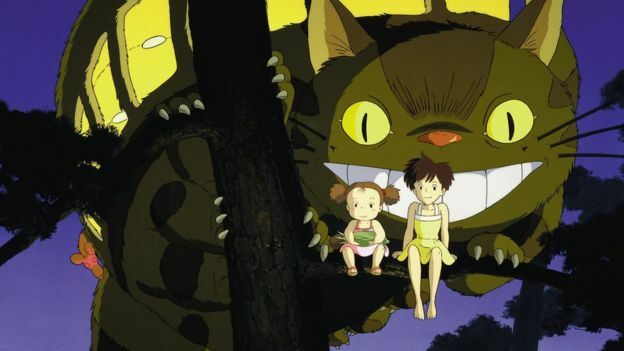 The film and its characters, namely Totoro, have become pop culture icons. Nausicaa of the Valley of The Wind (1984): A princess tries to stop a brewing war in a post-apocalyptic world. Praised for its pacifist and environmentalist messages. 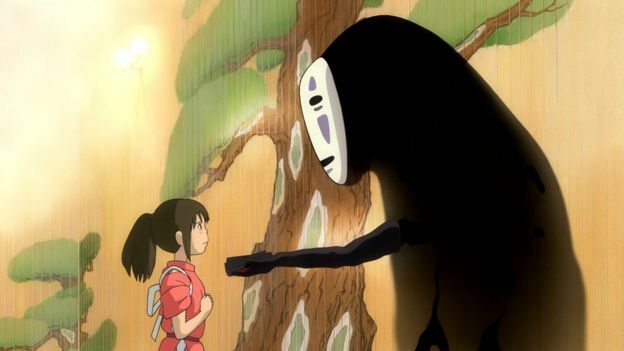 Instead of animation's typical cardboard villains and knights in shining armour, his works feature complex lead characters - in Spirited Away, the heroine Chihiro starts out as a sullen cowardly child, while its monster No-Face evolves from a timid needy spirit. This complexity was not common in the industry when Miyazaki first started out in the 1960s, drawing scenes for other people's films. But he got noticed in 1965 when he became dissatisfied with a film he was working on which ended with the rescue of a robot princess. Miyazaki suggested an alternate ending where she turned into a human, a suggestion picked up by the producers. 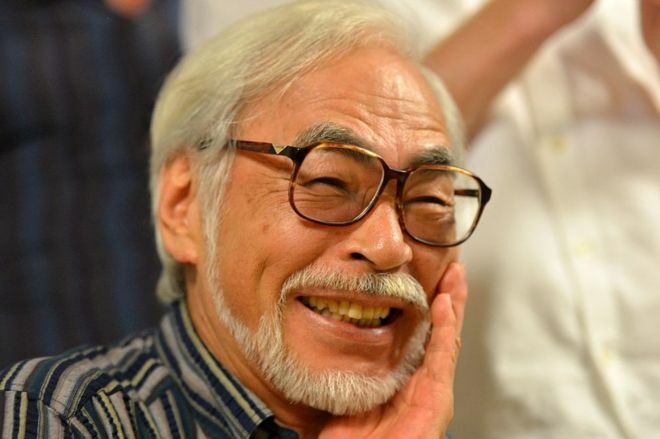 "Miyazaki added the humanity to what would otherwise be a typical space fantasy. From then on people in the industry thought he was very interesting," says Japanese animation expert Prof Susan Napier of Tufts University. He gained fame within the industry for his craftsmanship and directorial choices as he began making his own films. Soon he saw blockbuster success in the 1980s, followed by international fame in the 1990s as his movies were more widely distributed overseas. He still champions the laborious hand-drawn school of animation, setting high standards for artistic quality in a world where cost-cutting and compromise are still rife, says McCarthy. As a child, Miyazaki had to flee his town of Utsonomiya amid the firebomb raids of World War Two. Growing up in post-war Japan, he witnessed firsthand its rapid modernisation and rapid urban sprawl. These experiences would make a lasting impression on Miyazaki who has pushed anti-war and pro-environmental messages in his films, which were rare when he first started out. He is also known for his strong female lead characters, which Prof Napier says are partly inspired by his late mother with whom he had a close relationship. While young heroines known as shoujo are common in Japanese animation, unlike others, his girls are neither infantilised nor sexualised. "These are not thinly politically disguised male characters, they are female: caring and compassionate, independent, smart and inquisitive," says Prof Napier. Despite their difficult subject matter, Miyazaki's films are known for their quiet innocence and respect for their young audience. "What my friends and I have been trying to do since the 1970s is to try and quiet things down a little bit; don't just bombard with noise and distraction. And to follow the path of children's emotions and feelings as we make a film," he said in an interview in 2002. "If you stay true to joy and astonishment and empathy, you don't have to have violence and you don't have to have action. They'll follow you. This is our principle." His ethos has inspired a new generation of animators, most notably John Lasseter, the founder of US animation studio Pixar, and Makoto Shinkai, who helmed this year's blockbuster hit Your Name. Miyazaki has tried to retire - reportedly at least six times - but it appears he is not finished telling his stories. Since last year he has been working on a short film called Boro the Caterpillar, based on a story in development for two decades. Last month he said it would be turned into a full-length film, which may only be released in 2021 - he will be 80 years old by then. In the few interviews he has granted to the press, the reclusive director has spoken of his need to continue making films. "I believe that children's souls are the inheritors of historical memory from previous generations. It's just that as they grow older and experience the everyday world that memory sinks lower and lower. I feel I need to make a film that reaches down to that level," he said in 2005. "If I could do that, I would die happy."